Audi R8 coupe and convertible are beautiful to behold, easy to live with, and simply marvelous to drive—everything you’d want in a sports car. 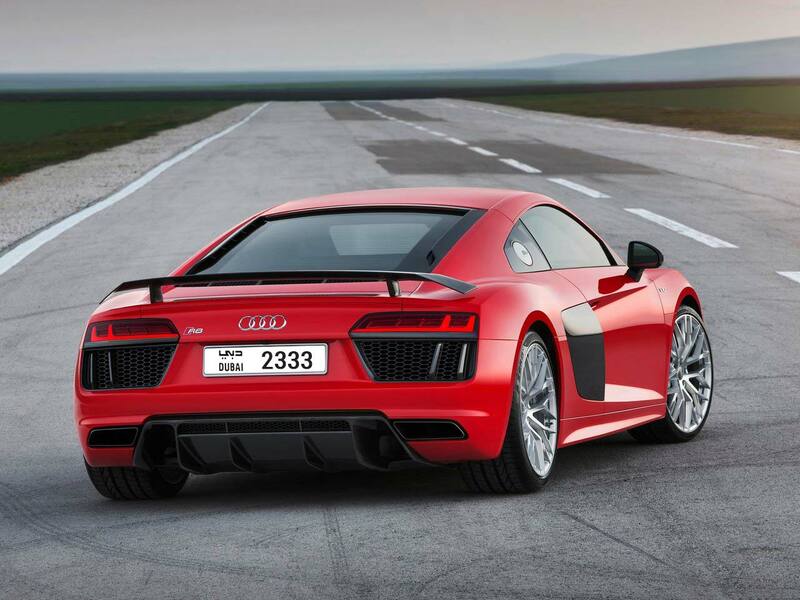 The R8 comes with an intoxicating 5.2-liter V-10 engine roaring just aft of the cabin and making 532 horsepower. Hop in the cockpit of our Audi R8 Spyder and you’ll start to understand why exotic car enthusiasts foam at the mouth when graced by this car’s presence. Long, curvaceous body panels, aggressive shark-like fins, and anodized black air vents envelop the car and clearly break away from the two dimensional geometric lines of exotic car counterparts like Lamborghini. This car is a dream to drive – a deity among scores of supercars that feel awfully inconvenient for daily endeavors. 530 horses remain perpetually poised behind you yet never interrupt a pleasant driving experience… that is, until your right trigger foot gets antsy. That’s when this chariot snaps into action: the growling engine roars to life, the revs climb on command, and Audi’s Quattro all-wheel agility and dynamic suspension work harmoniously to corner turns with a smoothness that would put 50-year-old single malt Macallan scotch to shame. 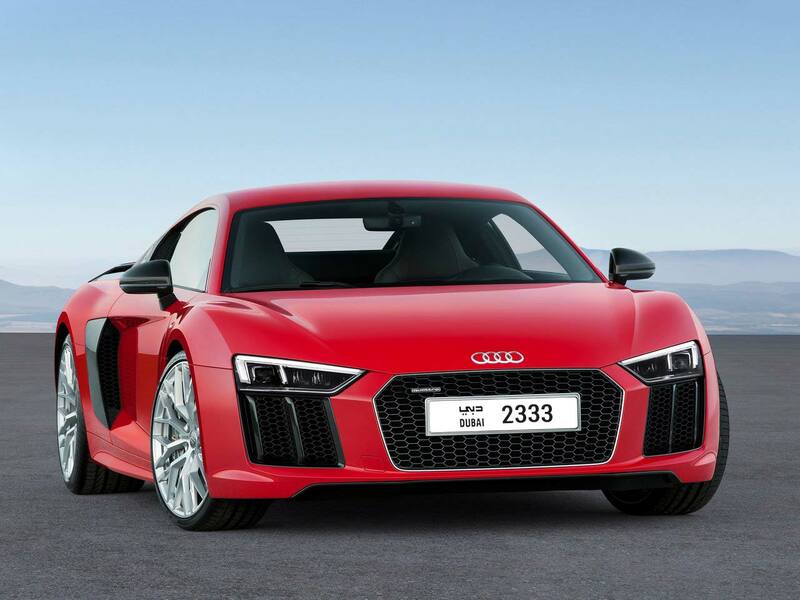 For Audi R8 Convertible rental in Dubai, we strive to provide the best service in the area. At Rotana Star , we have many years of experience in the hire car field. As a result, we can bring value for money and top-notch service – guaranteed. A key reason for this is because we own our entire fleet of vehicles. This means we have more flexibility on price, unlike our competitors, who often lease their cars on a long-term basis. 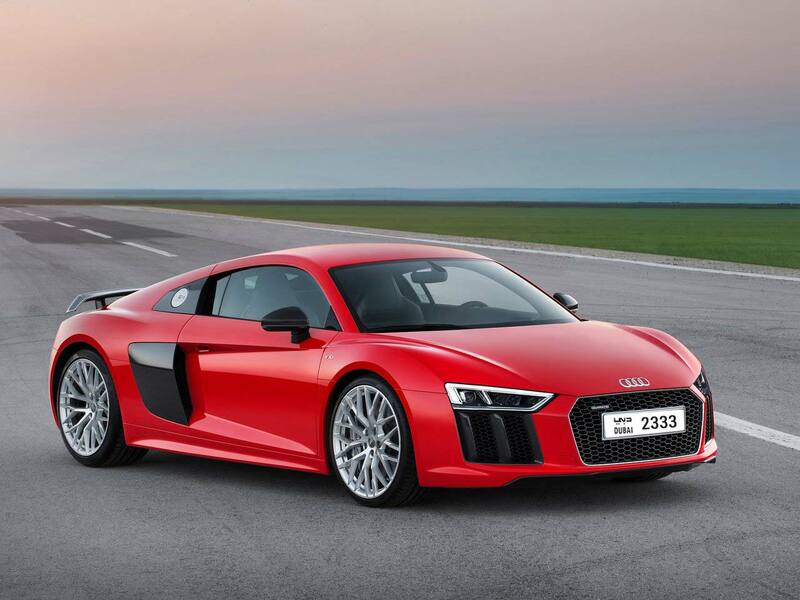 At Rotana Star, we make the process to hire a Audi R8 Convertible for rent easy. The first step is the browse our website to find a suitable price. After this, contact us by sending in a request via our online form or by telephone. We aim to get back in touch soon after to finalize the deal. When the time comes to deliver the car, we offer two options: either pick-up the car from our Dubai showroom or take advantage of our popular door-to-door delivery service. Our premium car rental services allow you the chance to rent a Audi R8 Convertible in Dubai or other luxury brand cars at affordable rates. Book online or over the phone and collect your rent a car or get it delivered in Dubai.